Congratulations to our South Lanarkshire Branch on their successful Climate Challenge Fund bid. The ideas they come up with for greening the workplace could lead the way for similar union work across the public sector. The project will focus on encouraging reduced emissions through energy efficiency and greener travel options. Members will be able to borrow energy monitors to check their energy use at home and develop alternative public transport plans for each workplace. This project will demonstrate the contribution trade unions can make to tackling climate change in the workplace by engaging with our members on the issue. By doing so members will not only start to reduce their own emissions but will be more likely to demand action in the workplace. More than two thirds of carbon emissions are work related. Most workplace projects on cutting carbon are led by employers. A bottom up project, promoted by the trade union, stands a much better chance of winning workforce support and making the real changes needed. UNISON Scotland campaigned for the Climate Change (S) Act 2009 to be as strong as possible with a clear duty on the public sector, ensuring it leads by example. All public bodies need to comply with that duty from January next year and we are calling for negotiated green workplace agreements to help them do that. We have issued guidance to Scottish branches and there is now a detailed UNISON Greening the Workplace toolkit that shows just how to do this. In times of financial crisis greening the workplace is not just good for the planet - it makes economic sense as well. Today we have launched a policy briefing Defend Scotland’s Water in response to a concerted campaign to use the financial crisis as cover for the privatisation of Scotland’s water. Essentially the sharks are circling again around Scotland’s greatest asset – our water. The regulatory regime has been preparing Scottish Water for privatisation for some time, driven by the ideological zeal of the Water Industry Commission Chair, Sir Ian Byatt. He has been joined by the SFT led by another privatisation advocate and banker, Sir Angus Grossart. This briefing makes it crystal clear that water is both an essential public service and, given the global water crisis, one of Scotland’s greatest economic assets. 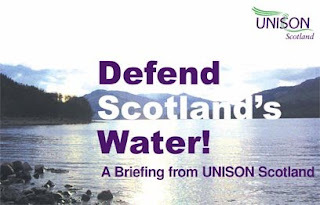 The briefing outlines the huge costs of privatisation to the water charge payer and to the continued ‘marking down’ of the value of Scottish Water’s assets, from £15bn when the corporation was created, down to current discussions of around £1bn. This is in order to make the package an attractive price for the private sector. We have also rejected the supposed ‘alternative’ of mutualisation. In a capital intensive industry like water, mutualisation is not a co-operative solution. All services would be delivered by private water companies with all the costs of privatisation. It sounds cuddly and safe, but in reality it is a Trojan horse for privatisation. The real alternative is to join with the worldwide movement in favour of democratisation of this essential service. The Scottish Labour Party spring conference was held on Saturday. The normal annual conference has been moved to October to enable the policy programme for the 2011 Scottish Parliament elections to be agreed. One day conferences in the run up to a general election are inevitably going to look and feel like a rally. None the less there was time for substantive contributions from the floor. UNISON’s Gordon McKay gave a very clear analysis of why Scottish Labour should oppose PFI and adopt our sustainable approach to capital funding. Many other speakers and film clips highlighted the impact of public service cuts on our communities. Iain Gray’s speech was well received both for its content and its presentation. The contrast between serious politicians for serious times was a mainstream theme throughout the conference. The Prime Minister’s speech of course makes this contrast most apparent. And of course we had John Prescott and his GoFourth campaign. Good old fashioned barnstorming performance, full of knock about politics. A real contrast with the Facebook/Twitter generation of political campaigning – but entertaining none the less! I made a detailed presentation to our organising staff yesterday on our analysis of the budget position. This reflected the UK budget on Wednesday and our best estimate of the likely position over the next few years. • Public service organisations are assuming greater cuts over next 3-5 years and are starting to make those cuts now. These points are reflected in our evidence, submitted today, to the Scottish Parliament Finance Committee inquiry on future budget strategy. We also examine the responses being considered by some councils and set out our alternative budget strategy. The current financial crisis is being used by those whose Neo-Liberal market ideology got us into this financial crisis, to reshape public services on the basis of their failed ideology. Cutting public services is not the only way to cut debt. Raising taxes for those who can afford to pay more and clamping down on tax avoidance will also reduce the deficit. As will cutting out wasteful spending including PPP schemes, Trident and private consultants. I finished the day at the AGM of our NHS Glasgow & Clyde Branch. This is the largest health union branch in the UK with nearly 17,000 members. Their health board is planning around £61m of cuts in the coming year impacting on a wide range of services. This is the sharp end of the budget impact outlined above. Workers and communities paying the price for the failure of free market economics. UK budget day and a few more cheers than we might have expected. Welcome extensions to the Future Jobs Fund and training guarantees, support to first time buyers, child benefit and continuing the winter fuel allowances. There is also some indication that the Chancellor has been listening to our calls for cutting waste from central government, by cutting back on management consultants. The measures on taxation for the very rich are also a step in the left direction, although some way short of the progressive taxation regime we would wish for. Some action on tax avoidance is also welcome and including Belize in the package was a nice bit of politics. However, awaiting international action on financial transactions sounds like a long process. The big downside is that again it is public services that have to pay the price for the mess neo-liberal economics have got us into. Pay rises below inflation and public spending cuts over the next three to five years at least. It needed a far more radical budget than this to chart a different course, although the modest Barnett consequentials this coming year are welcome. There are some interesting details in the Red Book on my first skim read. Some detailed work being undertaken on the Calman taxation recommendations and upward revised figures on the tax take if a Scottish Government used the current tax variation powers. Overall a budget that took some helpful steps in the direction we have been advocating, but not nearly radical enough. I suppose we should just be grateful that it was not George Osborne at the dispatch box. His prescription would send us tumbling back into the recession – and that is the real choice in the coming election. Our story on management consultants got very wide coverage today. "The la Bonbon Public Affairs Consultancy stands ready to assist our councils and quangos to develop new and discreet area-focused methodologies to downsize their expenditure on external consultants. With our renowned holistic goldfish bowl facilitated webinars and joined up situational thought shower-focused engagement facilitation competencies, my associates and I will soon re-weave your revenue streams and revitalise stakeholder blue-sky thinking outside the box, achieving transformational rebaselining of the bottom line. Ask about our discounts for cash." As someone who has had to sit through many a jargon ridden presentation by consultants this says it all. My particular hate is "human capital". No, workers are real people not some accountancy spin off! Today we have published our latest research on the use of management consultants. Savings of over £40m could be made from local council costs, by cutting back on the amount of use they make of private consultancy firms. Using the Freedom of Information (Scotland) Act (FOI), we asked all councils what they spent on consultants last year, and the figures show that last year councils poured over £42m of public money into the pockets of these private firms. In an earlier blog message I highlighted figures that show nearly £6m of this went to one firm – KPMG, who are busy advising Scotland’s councils where they can save money by cutting services, staff and conditions. With the UK Budget due on Wednesday, Alastair Darling might want to take a second look at UNISON’s alternative budget that highlights how much could be saved from wasteful spending, including by ending the use of consultants. Top of the league table on consultant spend last year is City of Edinburgh, where the council is investigating outsourcing a huge raft of public services. They spent £6.4m last year on consultants. One consultant was adviser to Lehmann Brothers, Ernst & Young. It is scandalous that it is same firm that endorsed Lehman Brothers’ methods of business (leading to the major world recession) is now advising massive privatisation to Edinburgh City as their solution to the financial crisis, earning a nice fee for them as consultants. Today I attended the STUC public services conference in Glasgow. This was a gathering of trade unions, community and voluntary sector organisations to focus on responses to the public services spending crisis. There was an excellent analysis of the UK public finances from the STUC’s Stephen Boyd. His key points were that there is no imminent debt crisis because the UK’s stock of debt is lower than the average for G20 nations. The cost of servicing that debt is low and likely to remain so for the medium term. It is therefore not a given that debt must be reduced by cutting public expenditure. A fair taxation system including cutting tax avoidance would achieve the same result. He concluded by saying that slashing public spending is not only unnecessary, but during a fragile economic recovery is simply economic masochism. I led a roundtable discussion on local government spending. My paper outlined the disconnect between the small cut in Scottish Government allocation to councils and the massive cuts those councils are planning next year. By our current estimate around £306m of cuts and 5,400 jobs. I set out a range of reasons for this disconnect and the measures councils are taking in response to this funding crisis. The discussion focussed on the need for a united response to the cuts by trade unions and the community. Whilst we may have some tactical disagreements, we have a common vision of the importance of the solidarity society. This is in contrast to the small state advocated by the right, who are using the financial crisis (that they caused) to promote their twisted ideology. Finally the conference launched the STUC Public Services Charter that sets out our alternative vision of how public services can not only contribute to the economic recovery, but build a better society. There is an alternative! I led a meeting yesterday with my Greater Glasgow Organising Team responsible for supporting 18 UNISON branches that represent over 50,000 members in the Glasgow area. We were reviewing progress with our 2009 plan and developing new plans for the coming year. Members are of course the lifeblood of any trade union and therefore recruitment is essential to building a strong and effective trade union. These are difficult times for the public sector with, as yesterdays staffing watch figures show, reducing numbers of public service workers in Scotland. Despite this context UNISON membership in the Glasgow area grew by 3.3% last year. A tremendous effort by everyone involved. Particular credit goes to the NHS Glasgow and Clyde Branch that led the way with a 9% membership increase. This is our largest UNISON branch in Scotland and we introduced a new organising model there a year ago that has delivered an effective partnership between staff and lay activists. We have now rolled out that staffing model across the Greater Glasgow team. But recruitment on its own isn’t enough. It has to be sustained by new stewards who are properly trained and supported to undertake bargaining and representation. There was significant progress in recruiting new stewards together with a range of innovative training. The final part of the jigsaw is relevant campaigning and better communication. Members join and actively participate in their union when we are campaigning on the issues that matter to them and communicate in a language they understand. Again there were good examples of this in Glasgow last year. Given the scale of job losses planned in Scottish local government and health, 2010 is going to be much more difficult. However, there will be no shortage of issues to organise around. Last night I attended an event we supported in the Scottish Parliament, Northern Horizons: Is Scotland’s future Nordic? This was a very well supported gathering of politicians, academics, business, trade unions and others with an interest in exploring the Nordic model and how it could apply to Scotland.  The respect for the public realm funded through fair taxation that supports a more equal society. As recent research has shown (The Spirit Level et al) more equal societies do better at almost everything.  A strong social partnership model leading to stable industrial relations.  Political pluralism with proper research and debate for long term solutions. Change is incremental and politicians don’t see the need to react to every fleeting media headline. Contributions from Scandinavians living in Scotland were particularly interesting. One contribution highlighted our use of ‘working mothers’ when in Norway they would say ‘working parents’. This is more than nomenclature. It reflects a culture of support for working parents that is reflected in their impressive kindergarten system. Several speakers, including business leaders, reflected that the biggest culture shock for them in Scotland was our unequal society and the social consequences that follow from that. UNISON sponsored a Compass booklet in 2005 by Robert Taylor on the Swedish model that questioned the ‘conventional wisdom’ of the allegedly superior British model. As I re-read this booklet on the train to Edinburgh, I was struck by how prophetic this was post the banking collapse. It’s a pity that more people in government (UK and Scottish) didn’t take note of the message in this booklet. However, we still have an opportunity to learn from our Scandinavian cousins and I look forward to taking this debate forward. 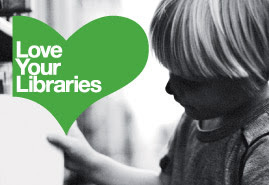 Today we have launched UNISON’s Love Your Libraries campaign in Scotland. I have set out the current state of the public library service in Scotland in a briefing. We should also remember that many other public services have libraries including hospitals, schools, colleges and universities. Currently around 1 million Scots borrow books from Scotland’s 541 public libraries and 82 mobile libraries, and many more use the much wider services that libraries provide via learning centres, and digital access. But there is evidence that authorities are cutting back on libraries, opening hours and qualified staff as a response to the unprecedented financial cutbacks. We are also asking MSP’s to support the motion submitted by Peter Peacock MSP to the Scottish Parliament (Motion number S3M-05898) that highlights the campaign and the vital role libraries play in our communities. This service has become even more important since the recession as libraries in Scotland are becoming increasingly busy. The briefing also sets out the case against hiving off the public library service to a trust, as is being considered by some councils. Fortunately there are statutory provisions in Scotland that make this difficult and the only real experience has been in Glasgow. Culture & Sport Glasgow, was promoted in 2007 in order to attract private finance. In fact the only money it has attracted is by tax avoidance, and the Trust is now facing a £1.7m cut this year, wants to freeze staff pay and close libraries. It has already drastically reduced book-buying in the final months of this financial year. A public library service is the hallmark of a civilised society. We should support them. Yesterday we published interim results from a survey of members on cuts in the services they deliver. Over 50% of respondents identified a vacancy freeze operating in their workplace. As this survey only covers the last two years of cuts, it means that the horrendous future cuts threatened can only directly threaten the safety of both staff and service users. Members also highlighted the dangers to people in their care, the risk of reduced safety cover, and how backroom staff cuts force staff off the frontline. Then it was off to Stornoway to speak at our Comhairle nan Eilean Siar (Western Isles) local government branch AGM. The subject not surprisingly was our Public Works campaign and in particular local government cuts. The council is facing similar cuts to mainland local authorities next year and is anticipating worst to come. One of the key themes of Public Works is the importance of public services in creating community solidarity. This is particularly evident in island communities where public services provide the glue that sustains their strong sense of community. As always it is a pleasure to visit our island branches where you can count on a warm and hospitable welcome. Whilst I was in Stornoway I took the opportunity to meet up with Donald John McSween the Labour candidate in the forthcoming UK general election. I first met Donald John 19 years ago on my first visit to the islands. The circumstances could not have been more difficult as the Council lost £24m when the BCCI bank was wound up with debts of £7bn. The council eventually got its money back, but it was a worrying time for everyone on the islands and council staff in particular. I went up to assist the branch and Donald John was the Branch Chair. You could not have asked for a better branch officer in a crisis. DJ handled the world’s media, the council and our members in a calm, professional manner that greatly contributed to the initial crisis management. I think he would make a really good MP. I have been known to be a bit scathing of professional politicians, with little real life experience, that are too common in all political parties these days. Donald John certainly doesn’t fall into that category and I wish him well in his campaign. I made a presentation to a visiting delegation from the French National Institute of Labour today. They are a tripartite body not dissimilar to our own Scottish Council Development and Industry. They have an annual study programme that involves around 40 leaders from trade unions, business and the media looking at topical issues over some 20 days including two overseas visits. It must give a real opportunity to take a longer look at issues that you can rarely find time to study in our normal busy schedule. I left them feeling very envious! They asked for a wide ranging presentation on the Scottish public service model including approaches to industrial relations together with an analysis of current challenges facing Scotland. It is always a pleasure to be able to present your country in a positive manner although it is important that we are honest about the challenges. The French are often surprised at how different Scotland is from the rest of the UK, even more so post-devolution. They have a fairly stable public service model arguably more centralised than those of other European countries with federal systems. Given the problems we face in local government, their two tier system continues to look very attractive and most importantly has survived many different governments. Compare that to the UK where some people seem to believe that reorganisation is the solution to every challenge. I described a range of industrial relations models, including a case study of our NHS Scotland partnership approach. Whilst this model has its challenges, it has delivered a stable industrial relations framework for more than a decade. The delegation asked a range of questions about how it works in practice. Like most Brits my impression of industrial relations in France is framed by scenes of direct action on the street. So I am not sure how they will take to partnership! It was an ecumenical weekend for me in the political sense. On Friday a meeting with the Secretary for State and other Labour parliamentarians, then off to the Scottish Liberal Democrat conference in Perth. The message was essentially the same. Our Public Works campaign sets out why public services are vital to the sort of society we want in Scotland. We have the right wing lobby arguing for small government and a public service safety net for the poor and disadvantaged. In contrast we are promoting public service principles of fairness, solidarity and accountability; delivered by public services that add value to the wider economy. Our alternative budget sets out how this can be paid for even in this economic climate. Fairer taxation and cutting out the real waste of spending programmes like Trident. The alternative scenario is cuts and job losses on a scale equivalent to the collapse of the coal and steel industry in Scotland. With all of the long term consequences that are still with us today. At our fringe meeting I focussed on the misguided responses to the financial crisis being considered by some councils. A profusion of trusts and outsourcing could result in a patchwork of public service delivery, not unlike the 19th Century. At that time Liberals like Joseph Chamberlain came up with radical solutions – they called it local government. In fact Chamberlain went much further, giving councils the power to purchase electricity companies. Now there is a radical programme for any political party! The accountancy and consultancy company KPMG have been active politically in Scotland arguing the case for outsourcing public services. Not surprisingly offering their services to enable councils to do it! We undertook an FoI request to find out how much they received from the Scottish public purse last year and discovered that it totals over £11m. In today’s Scotsman KPMG are claiming that councils could “deliver better services with 20 per cent less cost”, again not surprisingly they argue outsourcing should ‘accelerate’. Very generous of the Scotsman to offer them free advertising, but not really a serious contribution to the debate on public service reform. “Jenny Stewart of KPMG assures us that “It is possible to deliver better services with 20 per cent less cost.” That should be borne in mind when her company next bids for Public Sector work. KPMG charged the Public Sector in Scotland (at least) £11million in the last year, if they practice what they preach, this would result in a saving for the taxpayer of £2.2 million pounds next year (for an improved service). I won't hold my breadth on the savings! Back to pensions today. The so-called Taxpayers Alliance has yet again rehashed their dodgy dossier to claim that that local government pensions face a black hole. I presume the business funders of this organisation have worked out that this is good value for money. They cut their own workers pensions, whack up their own personal pension pots and then set up a lobby organisation to persuade everyone that it is all the fault of the quality pension schemes. Today’s allegations are particularly stupid. Their claims are based on the nonsensical supposition that everyone is going to retire at once, tomorrow. Neither do these pensions cost £1 of every £5 of council tax, because council tax makes up only a small percentage of funding. In fact the local government pension scheme is affordable and sustainable and its income exceeded expenditure by almost £6 billion in the last year. In Scotland we have a fully funded new scheme that includes increased staff contributions. The scheme provides very modest pensions to low paid staff who otherwise would rely on state benefits. What we need is some perspective here and a move away from a race to the bottom on pensions. The Public Services Reform Bill is working its way through the Scottish Parliament at present. The rather grand title of the Bill masks its more mundane task of merging a number of quangos as well as giving ministers powers to take further action to simplify the structure of public bodies in Scotland. In the Scottish Parliament a Bill after introduction is allocated to a lead committee, in this case the Finance Committee. At Stage 1 the principles are debated and evidence taken, written and oral, from interested parties and a report presented to Parliament that votes on the principles. If the Bill passes that stage it goes back to the lead committee for detailed amendment. Yesterday the committee debated an amendment initiated by UNISON Scotland on the pay bargaining structure for quangos. At present we have a hugely complex and bureaucratic process involving a large number of public bodies and civil service departments. This process was criticised by the Finance Committee in a recent inquiry they conducted. Our amendment would have created one negotiating body, a move entirely consistent with the aim of the bill to simplify the public sector landscape. Regrettably, the SNP and Tory MSPs voted against the amendment so we will go on with this costly and wasteful process. Some politicians talk a good game on reform, but go missing when faced with practical solutions. 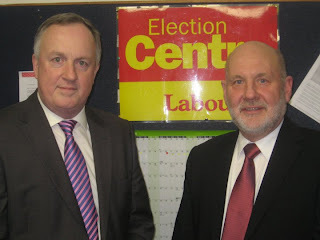 Thanks to David Whitton MSP and his Labour colleagues Malcolm Chisholm and Tom McCabe for their support. The Bill is also a good example of how not to do legislation. The Bill as introduced is the one that the public get an opportunity to present evidence on. However, in this case the Government has introduced many pages of amendments at the 2nd stage when there is no opportunity for external scrutiny. This is just sloppy drafting or a deliberate ploy to avoid scrutiny. Either way, it is a bad day for our parliamentary democracy.